박유경, 주현옥, 나현주,(2016).한국판 주산기 외상 후 스트레스장애 척도의 신뢰도 및 타당도.대한간호과학회지,46(1),29-38. Purpose: The Perinatal Post-Traumatic Stress Disorder Questionnaire (PPQ) was designed to measure post-traumatic symptoms related to childbirth and symptoms during postnatal period. The purpose of this study was to develop a translated Korean version of the PPQ and to evaluate reliability and validity of the Korean PPQ. Methods: Participants were 196 mothers at one to 18 months after giving childbirth and data were collected through e-mails. The PPQ was translated into Korean using translation guideline from World Health Organization. For this study Cronbach’s alpha and split-half reliability were used to evaluate the reliability of the PPQ. Exploratory Factor Analysis (EFA), Confirmatory Factor Analysis (CFA), and known-group validity were conducted to examine construct validity. Correlations of the PPQ with Impact of Event Scale (IES), Beck Depression Inventory II (BDI-II), and Beck Anxiety Inventory (BAI) were used to test a criterion validity of the PPQ. Results: Cronbach’s alpha and Spearman-Brown split-half correlation coefficient were 0.91 and 0.77, respectively. EFA identified a 3-factor solution including arousal, avoidance, and intrusion factors and CFA revealed the strongest support for the 3-factor model. The correlations of the PPQ with IES, BDI-II, and BAI were .99, .60, and .72, respectively, pointing to criterion validity of a high level. 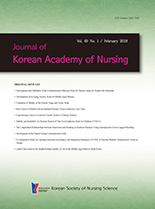 Conclusion: The Korean version PPQ is a useful tool for screening and assessing mothers’ experiencing emotional distress related to child birth and during the postnatal period. The PPQ also reflects Post Traumatic Stress Disorder’s diagnostic standards well. American Psychiatric Association. Diagnostic and statistical manual of mental disorders, DSM-IV. 4th ed. Washington, DC: Author; 1994. American Psychiatric Association. Diagnostic and statistical manual of mental disorders, fifth edition (DSM-5). 5th ed. Washington, DC: Author; 2013. American Psychiatric Association. Diagnostic and statistical manual of mental disorders, third edition-revised. 3rd ed. Washington, DC: Author; 1987. Ayers S, Pickering AD. Do women get posttraumatic stress disorder as a result of childbirth? A prospective study of incidence. Birth. 2001;28(2):111-118.